Last week Apple quietly began selling a refreshed version of its entry-level MacBook with improved graphics. We’re still working on getting a version of this updated MacBook into Macworld Lab for testing and review. But based on the revised specs of the laptop, this model appears to be a solid value for both gamers and Mac users on a budget. 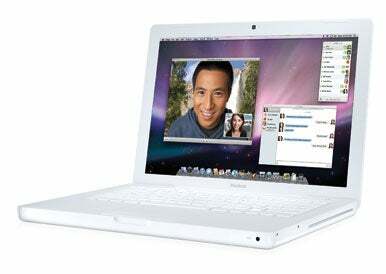 The $999 MacBook is clad in a white polycarbonate chassis, a throwback to the previous-generation MacBook. It lacks the aluminum-clad “unibody” design of newer MacBooks, but it also is a lot easier on the wallet, priced at $300 less than the 2GHz version of its shinier cousin. To me, this makes the value proposition of the low-end MacBook much more appealing than almost any other system that Apple sells. It’s a computer that should handle all tasks reasonably well, with a graphics system now powerful enough to handle not only current games, but other 3-D applications and apps that utilize Apple’s Core Graphics technology, without choking badly. There’s another thing about the low-end MacBook that make it worth consideration, especially for Mac users who have already made an investment in some camcorders and external storage devices: It’s the only MacBook in Apple’s lineup that still has a FireWire port. The white MacBook features a FireWire 400 connector, making it compatible with myriad standard-definition camcorders, hard drives and other devices that have shipped since the late 1990s. It may not be a deciding factor for people who are only today considering buying a high-def camcorder, as most of them now use USB 2.0, but for Mac users on a tight upgrade budget, it’s worth considering. The white MacBook also features a mini-DVI jack, meaning that connecting it to a DVI or VGA-equipped display is markedly less expensive than having to buy the Mini DisplayPort adapter required for the aluminum MacBook. Apple sells the mini-DVI adapters for $19 each, while its Mini DisplayPort equivalents are priced at $29. That’s not to say that the $999 MacBook is hands-down a better value than the next step up the product line, the $1,299 MacBook. With both of those machines now sporting the same processor, there are some distinct differences that might make the aluminum MacBook worth considering. The more expensive aluminum-clad MacBook features faster memory—1,066MHz DDR3 SDRAM, compared to 667MHz DDR2 SDRAM. It also has a hard disk drive that’s one-third larger than the drive on the $999 model—160GB, versus 120GB. You also have the option of getting a Solid State Disk (SSD) drive on the aluminum MacBook, something you can’t buy for the $999 model. And that Mini DisplayPort interface is compatible with Apple’s new 24-inch LED Cinema Display, which won’t work with the white MacBook. Apple doesn’t do much to its product line out of pure altruism, near as I can tell, and despite protestations from consumers when the new MacBooks debuted last fall, I don’t suspect that the company’s freshening-up of the low-end MacBook is motivated by trying to appeal to those customers. Instead, I suspect that the decision to upgrade the $999 model is driven by Apple’s desire to stay competitive in “fleet sales”—large volume purchases made by institutions and school districts, where the added $300 per unit would put the aluminum MacBook out of consideration all together. Regardless, Apple deserves credit for dramatically improving the low-end MacBook without charging Mac users any more for it. If you’re considering a new Mac and you’re on a tight budget (and really, who isn’t these days? ), the $999 MacBook definitely deserves a closer look.